All come with male threads on one end and female threads on the other. This is a very heavy-duty, yellow, .480" diameter rod. Comes in 32" lengths (for smoke chamber work), and 6' lengths. 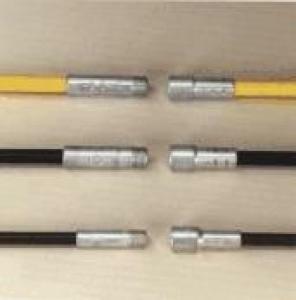 The .480 rods have 3/8" pipe threads.